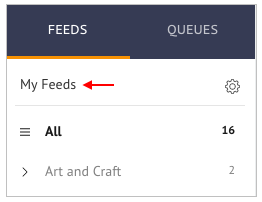 What are Popular Feeds and My Feeds? Q-rator helps you to share any type of content from around the web on your social channels. It's extremely important to be consistent with your posts on social media. As an online seller, you're busy and finding posts to schedule on a daily basis can be tough and sometimes impossible. A Feed is the solution to this problem. 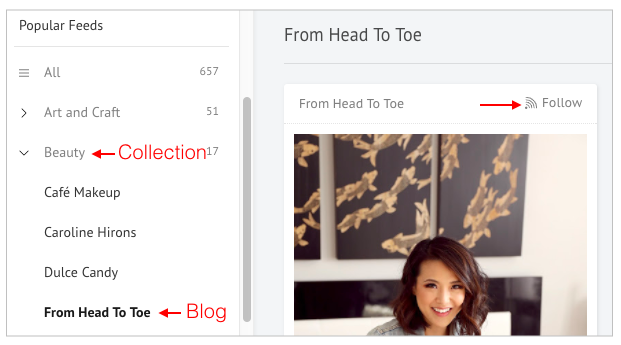 Think of Feeds as content suggestions from your favorite sources at one place. Simply add the link of your favorite source in My Feeds and we'll show you all the posts from that source. All you need to do is select what you'd like to share. Here, you can add your favorite content sources. Learn how. You can add a total of 20 sources. If you don't have any particular preferred source, that's okay too. We've hand-picked over 650 content sources for you. These have been categorized in Collections so that it's easy for you to find content. Just click on a Collection and you'll see all the options in that collection in a drop-down. Choose the one that you like and follow a blog by clicking on Follow on any of the posts. How can I share posts from My Feeds?